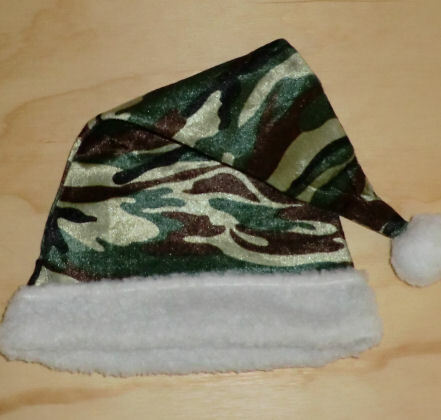 16" Camouflage Santa Hat - Camouflage Santa Hat. Santa can't disguise his favorite hobby under this plush cap! 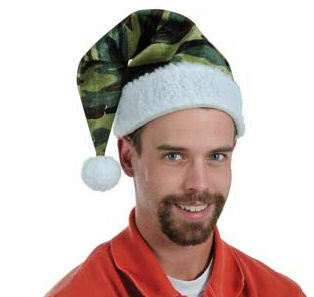 For the outdoorsman in your family this camouflage Santa hat will be a perfect fit Christmas morning! Wear these stocking caps up to the cabin or lodge! A pom-pom hangs from this polyester camouflage hat. One size fits most adults (measures about 22" inches around the base).